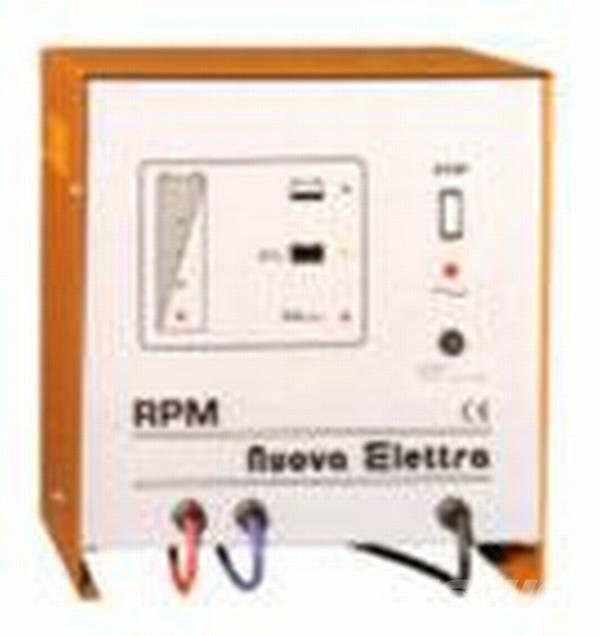 Battery chargers for all electric lift trucks and tow tractors from Italy. • Available as a 220V. 50 Hz single phase input model. • 13 hr recharge itme. • Automatic star after a 8 seconds delay. • Applacation for traction batteries in equipment such as sweepers, power pallet truck or small vehicles.